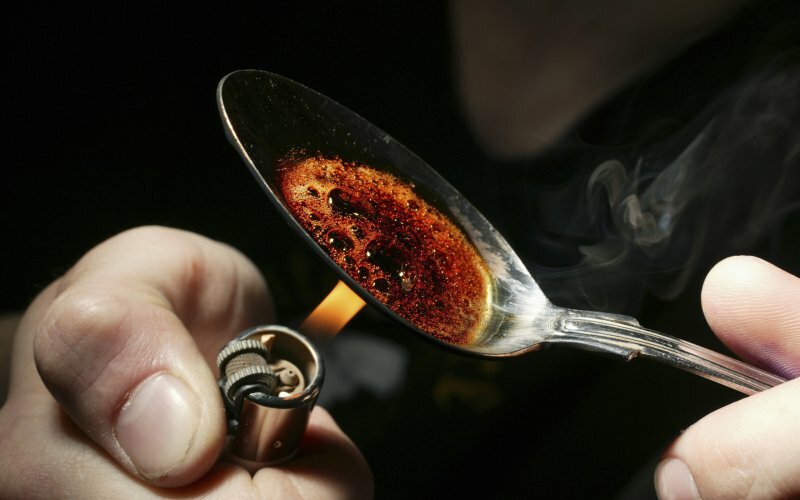 Heroin use and overdose is skyrocketing. Those who suffer from heroin addiction have said that the euphoric feeling from doing heroin is like nothing else in the world. The euphoria is so intense that people can get hooked after only one use — and find their world flipped upside down. There is no denying the scary truth that America has seen a terrifying rise in opiate use over the last few decades. According to the Centers for Disease Control and Prevention (CDC), between 2000 and 2014, nearly half a million people in the U.S. died from drug overdoses. The rate of opiate overdose deaths has increased by 200% since 2000. Many of those who end up trying heroin and forming an addiction report that their habit started with prescription opiates like OxyContin, Vicodin and Demerol. Some may decide to switch from these prescription drugs to heroin because it is cheaper and easier to get. This pattern has led many to believe that prescription opiates are a gateway drug to using heroin. Heroin use has also been shown as a gateway to criminal activity. Although heroin may be cheaper than prescription pills, it has been shown that regular use leads to a tolerance that causes them to spend more on heroin to get the same effect. When someone can’t afford to support their growing habit, they often turn to stealing as a source of income. This leads to arrest and jail time for many people with heroin addiction instead of getting the help that they need. Law enforcement has taken a big step in the fight against heroin overdose other than arresting people. Opiate overdoses have become so common, especially with heroin, that many law enforcement officers have started carrying naloxone, also known as Narcan, which can reverse the effects of an opiate overdose. Other programs provide sterile needles to people with illegal drug addictions in an attempt to reduce the sharing of needles and the spread of blood-borne diseases like HIV and hepatitis. Some may say that this is a horrible idea, that it encourages people to keep doing heroin because they know if they overdose or run out of needles, someone will be there to save them. Others may say that this practice could help solve the growing heroin epidemic and save countless lives. Whatever the case, there is no getting past the huge rise in opiate use over the last few decades and how something has to be done to stop it. People need to know that they don’t have to go through this alone. There is hope. Behavioral centers and rehab clinics all over the country are developing and improving their treatment for heroin and other opiate addictions. There are a variety of inpatient and outpatient programs that offer detoxification support to those who need help ending their addiction to opiates. Many of those who become addicted to opiates also develop other issues, such as depression, and it is important to know that treatment is also available for addiction in combination with other problems. No matter what, there is hope—but it starts with realizing that help is needed.